Kathie Lee Gifford of The Today Show has become a friend and supporter of client Anne Neilson this year, and was kind enough to fit a visit to Charlotte into her busy schedule recently for our "Love Thy Neighbor" Harvest Center fundraiser. 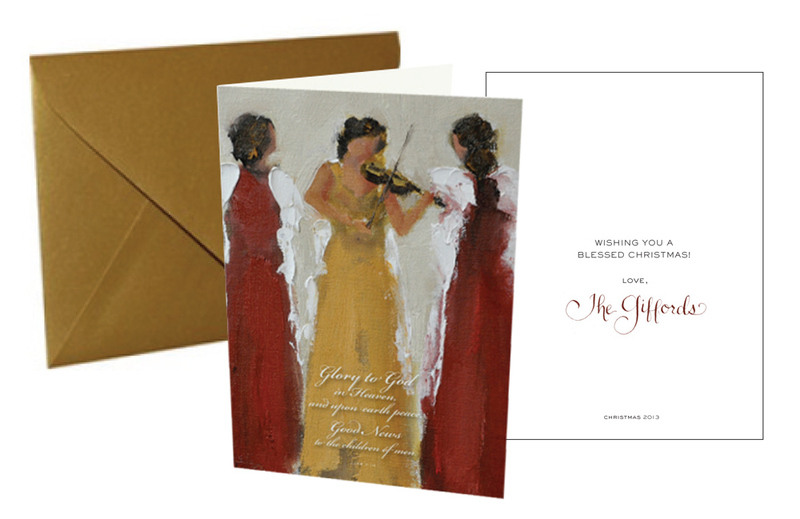 I was honored to help produce a holiday card for the Gifford Family featuring one of Anne's Angel Series paintings, "A Joyful Noise Unto The Lord". This simple 5x7 card included a hand-lettered signature and was printed on linen cardstock with a Stardream metallic gold envelope. We were tickled to see her share the card on The Today Show this morning, though sad to hear she took a scary spill in the driveway when meeting the UPS delivery! 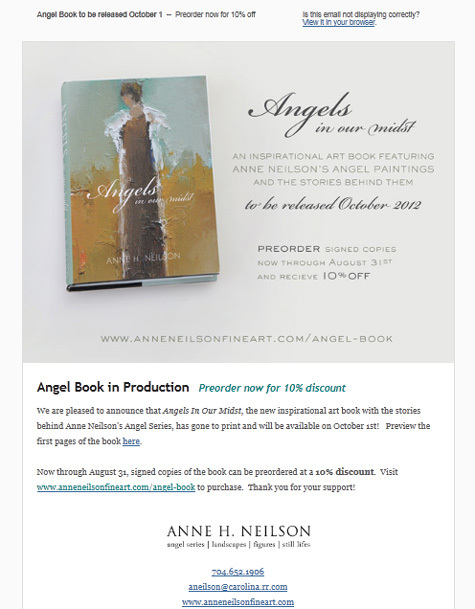 Client Anne Neilson has created a beautiful coffee table book featuring the paintings of her popular Angel Series and the stories behind them. After months of organizing and editing content, the book has gone to print and will be available October 1, 2012. I was honored to assist with design and editing tasks and will enjoy helping Anne market the book. Here is an email we sent today to kick off preorders. I will be helping Charlotte artists Heidi Kirschner and Anne Neilson to plan a benefit art show this fall at B. D. Jeffries. The event will support Levine Cardiac Kids, an organization for families of children with congenital heart defects. 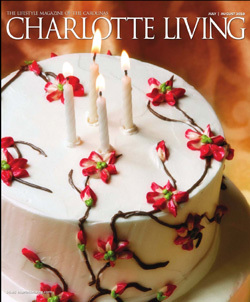 Charlotte Living Magazine is a media partner for the event and provided a half-page ad in their July issue. 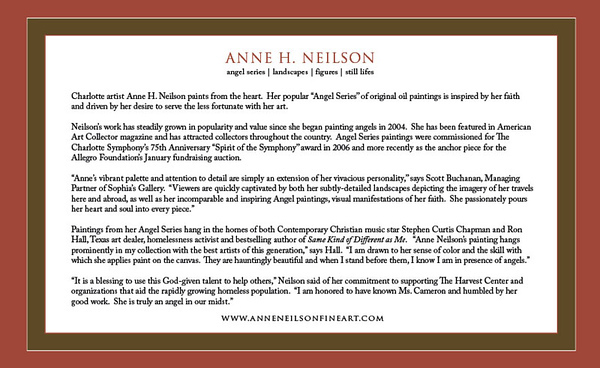 I also designed a full-page ad for Anne Neilson for this issue. 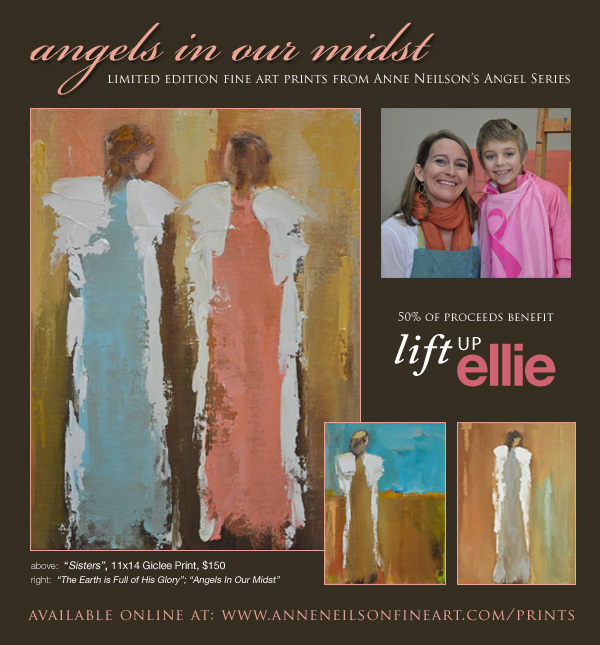 In it she promotes a new offering of giclee prints from her Angel Series with a portion of proceeds benefitting the Lift Up Ellie fund. Neilson in "Today's Charlotte Woman"
I'm happy to share the latest great press for my great client, Anne Neilson. 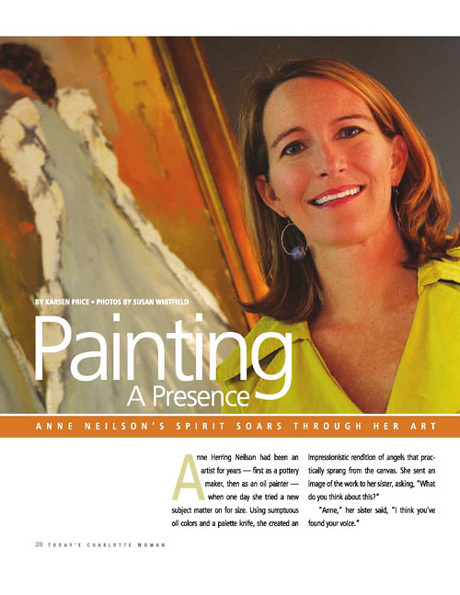 Artist Anne H Neilson featured in Sept Arts Issue of "Today's Charlotte Woman"
I'm excited to share we scored some terrific coverage for my clients' art show next week. 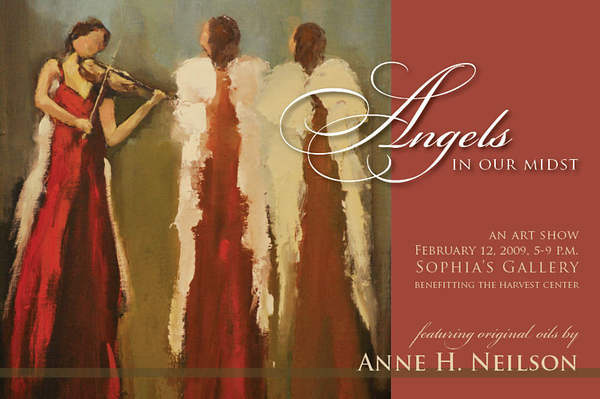 "Angels In Our Midst", featuring Charlotte artist Anne Neilson's stunning Angel Series will exhibit at an opening reception Thursday, February 12, 5-9pm at Sophia's Gallery in Dilworth. Anne's talent and her passion for serving the homeless with her work is a story that deserves the attention. Check out these great articles, and check out the show! 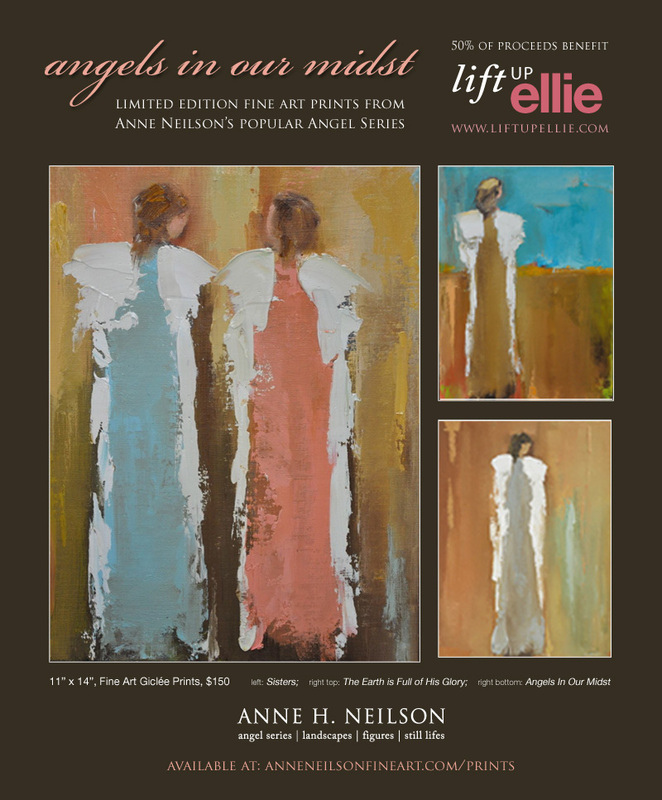 Charlotte artist Anne Neilson and her Angel Series featured in February's American Art Collector, the "must read" magazine for galleries, collectors and painters of traditional art. 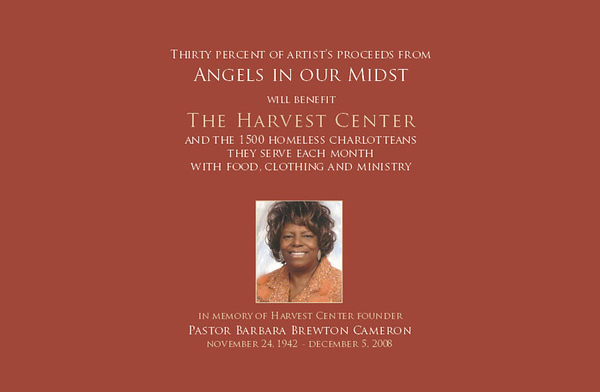 Charlotte Weekly's 3-page coverage of Anne Neilson's "Angels In Our Midst" benefit art show and The Harvest Center's late founder, Barbara Brewton Cameron, the show's honoree. Thirty percent of the artist's proceeds will benefit The Harvest Center. The Show will be available for preview and pre-purchase begining Monday, Feb 9. 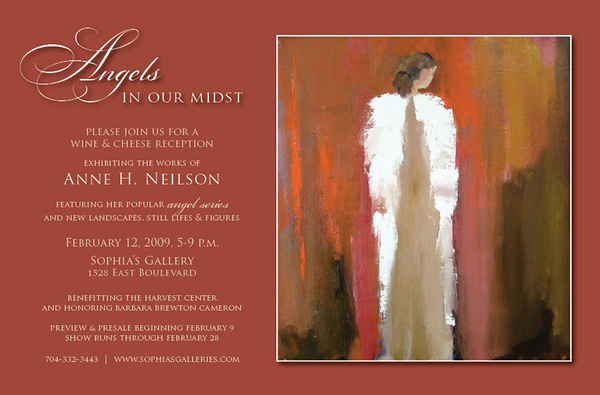 The artist's opening reception is Thursday, Feb 12, 5-9pm at Sophia's Gallery, 1528 East Boulevard, Charlotte.